Dave Ziegler and Northwestern Mutual - Hunt Valley are committed to easing the financial and emotional burdens for families fighting childhood cancer. Through a philanthropic partnership with Alex's Lemonade Stand Foundation (ALSF), our local Northwestern Mutual offices raise thousands of dollars each year to help fund childhood cancer research. 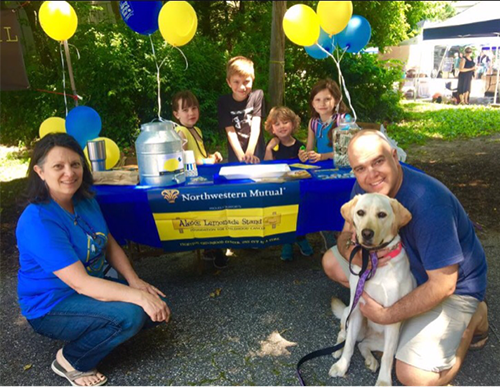 Every summer our team members and their families come together to host lemonade stands in our communities. All of the proceeds from these stands are donated to ALSF. The lemonade stands are a wonderful opportunity for us to join together with our community for a worthy cause. Dave Ziegler supports Kennedy Krieger Insitutue's annual fundraiser; Hats & Horses. This event, held in Cockeysville, MD, is a derby-themed gala which benefits the children and families served by Kennedy Krieger Institute. 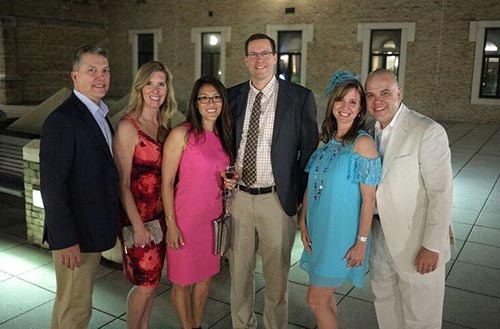 Northwestern Mutual supports this event through sponsorship, and in 2017 Dave invited some of his clients to join him in celebrating this worthy cause.